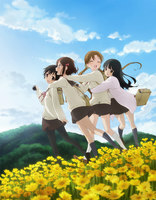 Plot Summary: It's the final year of highschool for Fuu and her friends. The seasons fly by as the girls decide on what they want to do after graduation and prepare for those next steps in their lives. A year full of preparing, worrying and reminiscing, new beginnings, farewells and friendship.